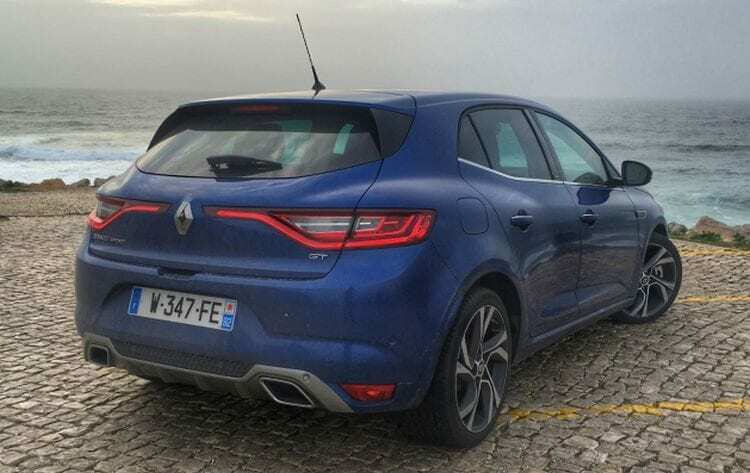 The Renault Megane is a relatively new entry in the small car segment only existing for around 20 years compared to some of the older competitors which have been around for 30 or even more. Its predecessor, however, is a car which started the entire trend. The original Renault 19 was a brilliant car, ahead of its time and one of the best cars in its segment when it first came out. 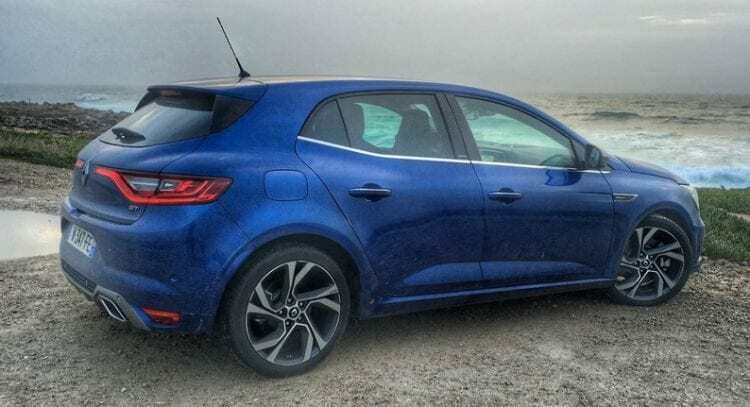 Good thing the 19 was a success and Renault decided to continue production of it in the form of a successor called the Megane or else we wouldn’t have this quite interesting vehicle today. Before we get to the exterior, we should mention that the Megane shares the same platform with the Nissan Pulsar for 2015. It debuted in 2015 at the Frankfurt Motor Show. One big advantage of the Megane over the Pulsar is its looks. It’s much more striking, and handsome than the Pulsar it shares the platform with, and many people will choose it over its corporative brother. On the outside, you’ll find even the normal Megane is gorgeous, not to mention the aggressiveness of the hot RS version. The basic models look sportier and more refined than the three generations that spawned before it. This is partly due to dimensions and partly thanks to the new styling which is more elegant and is similar to that of the 2016 Renault Talisman. Speaking of size, the new Renault Megane 2016 is 1.8 inches lower and 1.53 inches wider. When you have a low car that’s been spaced out it immediately gives off an impression of a square stance, which is the characteristic aggressive look even most sports cars use. The Megane is no longer just a small car. It now has style and a level of class its predecessors, and even most competitors can only dream about. The front fascia gets the same treatment as the Talisman and even the distinctive C-shaped LED lights, and front grille mimic those on the Talisman. The side profile of it is very interesting. It looks a lot like the previous year Renault Clio but bigger. Everything is nicely packed and combined so that it almost seems to be embedded into the side of the car. The lower portion of the doors appears to be sucked in, something very unusual and unique. We really like when we see a car that brings something different, and we can say that this is the case with Renault Megane 2016. Chrome has been used throughout the car, especially on the belt line, the door handles and the side badges. The back of the car received new LED taillights which extend all the way to the middle, almost touching. The only thing separating them is the Renault logo which has become an instantly recognizable one with the rise in popularity of Renault in markets even outside the Europe. There are lots of colors to choose from, and there is even a sportier version available called the Megane GT. It carries the “Iron Blue” paint option and has accessories with Dark Metal throughout the entire car. To further pronounce its sporty character, Renault decided to offer 18-inch aluminum wheels and the dual exhaust tips with chromed tips. Inside it’s very much the same story, a Renault Talisman basically. There’s a giant display with touchscreen technology in the middle console, almost engulfing the entire thing. Most of the car’s functions can be controlled through this screen and the simple and minimalistic buttons found just beneath it are integrated into the central console. There are apps such as Coyote alerts and Michelin that can track down hotels, restaurants and good places to stop and rest. Very useful, especially for those that are planning longer trips. The materials used here take a big praise from us. They are even better than the previous generation although there weren’t any big complaints even back then. Still, Renault managed to outdo them, and this is now a really nice place to spend time in. The seats sadly have been toned down and aren’t the same as the ones in the Talisman, which is a real shame since we think that the French company could do better in this segment. 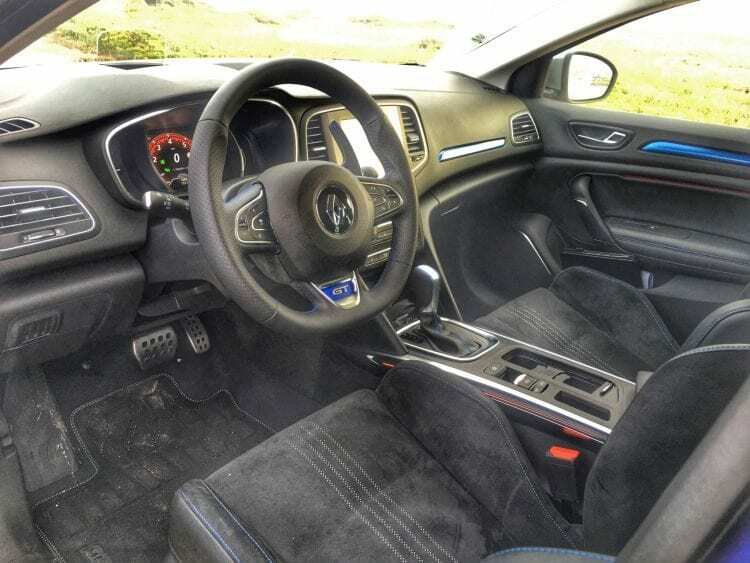 Infotainment isn’t something this car is short of. The screen in front of the driver, just behind the steering wheel offers 7-inch diagonal, and this TFT cluster brings all information’s that you need. Another quite interesting option that recently could see only on top level vehicles is the head-up display in full color. The big screen in the middle is 8.7 inches large and is the largest in its class. 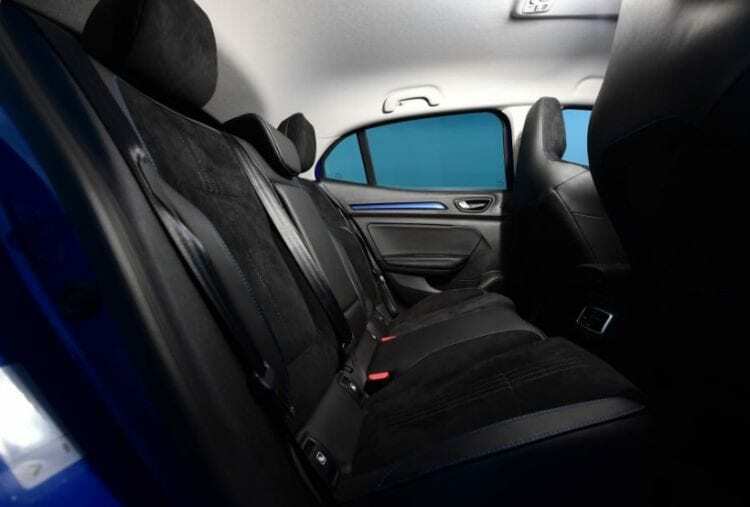 We fully stand by Renault’s claims that the new Renault Megane 2016 has features and gadgets typically found in larger, more expensive and luxurious vehicles. The base model can’t really offer that much, although if you do go for a higher trim expect to be amazed with full Nappa leather on the steering wheel and the dashboard as well as central console. The most expensive models feature Alcantara heated seats with a lot of adjustment possibilities. There’s even a massage function in the driver’s seat. Audio has been taken care of by Bose with a nine-speaker system that also brings subwoofer. There’s certainly no lack of engine options too. There are six available engine choices, three of which are diesel units with 90, 110 and 130 hp. The gasoline models develop 100 130 and 205 horsepower. 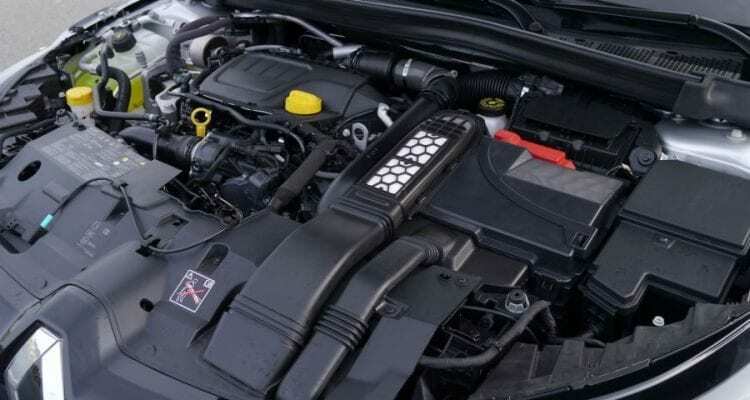 The standard transmission in all of them is a six-speed manual just like in the Talisman, although the most powerful diesel and gasoline engines (110 and 130) get the optional six and seven-speed automatics. If you decide to go for the most potent GT version with a petrol engine, you will benefit from a dual-clutch transmission. There is now a 165 hp diesel with the DCT available, and there will be a version with “Hybrid Assist” pretty soon so be on the lookout for that too. Fuel consumption figures are optimistic at 3 liters for 100 km (around 80 mpg) although we suspect that’s just a hyped up number for the launches of the vehicle, and it will nearly double in real world testing. Prices are around the same as the older model of the Megane, which means that they will start at around 16,750 Pounds ($24,000) for the base model. Expect them to go up accordingly as you spec the vehicle with more bells and whistles. The most expensive one is, of course, the GT trim if you disregard the RS version which will be in a class of its own in the lineup. I have high hopes next model will be available for the US citizens. You can’t see too many Renault vehicles here.